On Oct. 23, 1993, hunters found Holly Piirainen’s skeletal remains in Brimfield, 5 miles from where she was last seen. Tuesday marks the 25th anniversary of the disappearance of Holly Piirainen, the 10-year-old Grafton girl who was murdered in Sturbridge in 1993 — and her family is still looking for answers. Holly’s family members received some new information at a tip campaign called “Hope for Holly” held at the Sturbridge Host Hotel and Conference Center Sunday, according to Sarah Stein, a cold case consultant at the Resolution of Unsolved Crime, who has been working on the case since 2017. “We had some good leads to follow up on,” Stein said in a phone interview Sunday night. She declined to provide specifics about the new information or say how many people shared tips at the event. The family hosted a similar campaign last year and “we had pretty solid success both times,” she said. Holly’s aunt, Carla Jackman, said the family had been hoping for anyone with information, even if they had previously shared it with authorities, to come by. Jackman pointed to advances in DNA analysis that helped crack many recent high-profile murder cases. And she said that she drew hope from a feeling of kinship with State Police Colonel Kerry Gilpin, whose sister’s murder was a cold case for decades before a tip led to an arrest earlier this year. “We feel like we have someone that understands us,” she said in a brief phone interview Sunday night. After the campaign, the family hosted a public vigil, which drew about 30 people, including some of Holly’s childhood friends, according to Jackman. On past anniversaries, family members have attended Mass at St Philip’s Church in Grafton and hosted small get-togethers at the homes of relatives or friends, but this year — for the first time — they decided to open their ceremony to the public. “We wanted to do something a little bigger this year, since it’s 25 years,” she said. 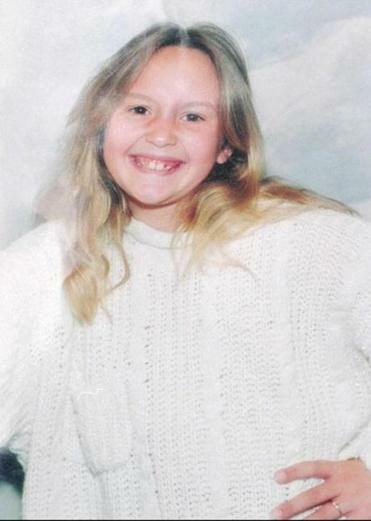 Holly went missing at 11:45 a.m. on Aug. 5, 1993, the Globe reported. She was last seen when she, her two brothers, and her father were visiting her grandparents in Sturbridge. Holly and her younger brother, Zachary, had left the house to go see some puppies at a nearby farm on the corner of Allen Road and South Shore Drive. The two had visited a few times to see the puppies, which were in a fenced-off area and would usually peer through the fence. Zachary was frightened by a barking dog at the farm and ran back to his grandparents’ house without Holly. When he returned later, his sister was gone. Her remains were found three months later on Oct. 23, 1993 by hunters in a wooded area near 5 Bridge Road in Brimfield. Anyone with information about Holly’s murder is asked to e-mail Thomas.w.sullivan3@massmail.state.ma.us or call the Hampden County State Police Detective Unit at 413-505-5993. People are also welcome to text information to “CRIMES” (274637) with the subject line “SOLVE Holly Piirainen.” A $40,000 reward is being offered for information leading directly to the arrest and conviction of the person or persons responsible. Elise Takahama can be reached at elise.takahama@globe.com. Follow her on Twitter @elisetakahama. Lucas Phillips can be reached at lucas.phillips@globe.com.